Embed Windward in your application to deliver visually stunning documents with a user-friendly template design system. "Fast, easy to design and develop"
It has a few minor glitches like any other reporting engine in the market, but Windward has been prompt on addressing those. We are using Windward to produce financial reports for our broad range of retirement plan clients. Most of the reports present complicated data with very professional look. With the help of windward studios, we were able to provide reports to our clients maintaining very high standard. It makes the developers life easy since it allows designing report on native word/excel applications. As a developer I never had to worry about making it look professional since a non-geek who has a good sense of pro looking report and MS Word can design it. It helps us focusing more on preparing data. Developing complicated reports was never fun before. "LandValue Solutions Uses Windward Studios"
Low bar to learning. Good videos on line, webinars, excellent customer service and training are the strongest features. They listen to requests for changes in a meaningful way. Of all the template programs I researched, this one is by far the best when looking for assistance with Microsoft Word and Excel template building. There is nothing I dislike about Windward Studios. They are responsive, likable, and easy to work with. For building templates for Microsoft Word or Excel, there is no other product on the market that compares to Windward Studios both in price and application. We use Windward Studios to create appraisal report templates using JSON and generating reports through their RESTful engine. We found no other software anywhere for building large MS Word report templates, a critical component to our web-based appraisal software. Thank you for the nice review. This is what makes us all feel good about creating the product. "Nice Product and easy to use"
There are a few things I like best about Windward - support and ease of use. The hands-on support is excellent and helped me understand how to use Windward. Now I feel comfortable creating reports and it doesn't take a lot of time create nice looking, professional reports. I think what I dislike most is the documentation. It's very hard to find things and there isn't much there when you do find it. This is a great product for easy report generation. We're using Windward to easily create reports that don't require a lot of IT hours. I've written reports before that have taken a lot of time but using Windward the reports are so much easier to create. And I agree that we can improve the documentation. We've done a lot on this, but there's a ton more we're working on. "Report Engine 써본적 없는 개발자의 Windward Studios 리뷰"
Reporting 시스템을 처음 사용하는 입장입니다. 일단 첫 번째로, 익숙해 지는 데까지 걸리는 시간이 짧다는 점이 가장 마음에 듭니다. 다음으로 간단한 인터페이스에 비해 생각하는 거의 대부분의 템플릿을 구현가능 하다는 점 입니다. 마지막으로 태깅 (tagging)이라고 하는 작업의 특징 상 그리 복잡도가 높지 않은 로직 코딩과도 비슷한 과정을 거치는데 조건문, 순환문, query 등 기본 지원 기능이 매우 강력한 점이 인상적 입니다. 소프트웨어 개발자 입장에서는 Windward 사용이 머리를 식힐 수 있는 일종의 exercise 로도 꽤 유용했네요. 우선, 사내에서 사용하는 문서 DRM 부여 시스템과 일종의 compatibility 이슈가 있습니다. 덕분 Windward를 인스톨 한 이후 엑셀 문서의 경우 거의 대부분, 워드 문서의 경우 일부 문서가 경미한 오류를 내고 있죠. 내용 자체가 날아간다거나 하는 critical한 이슈는 아니지만 문서를 열 때마다 오류 메시지를 보는 것은 그리 즐거운 일은 아니네요. 한가지 더 문제가 있다면 if tag나 for each tag의 경우 반드시 쌍을 이뤄서 작성 되야 하므로 작성 시 두 태그를 먼저 add하고 난 후에 작업을 하게 되는데 그 사이에 내용을 넣으려면 서로 붙어 있는 태그 사이에 스페이스바를 입력 하고 나서 새 태그를 더해야 합니다. 덕분에 tagging이 모두 끝나면 마지막에 무조건 스페이스바를 제거하는 작업을 해야하죠. 서로 붙어있는 태그 사이에 내용을 넣기 더 쉬웠으면 좋겠습니다. Report 엔진 자체를 처음 사용하는지라 다른 제품과의 비교는 할 수 없습니다. 제가 얘기할 수 있는 것은 Windward Studios 를 통하여 구현하고자 하는 바를 전부 구현 할 수 있었다는 점과 막히는 부분이 있었을 때 support 측에서 만족스러운 답변을 바로 바로 줬다는 점 입니다. Windward Studios의 가격 경쟁력이 어느 정도인지 모르겠는데 경쟁 제품과 비슷한 수준이라면 이 제품을 선택해서 후회 할 일은 없을 것이라 생각 합니다. 당사는 이전에는 수작업으로 진행하던 공정을 자동화 하는 프로젝트를 진행하고 있습니다. 시스템이 적용되기 전에는 결과물로서의 문서가 100% 수작업으로 작성 되었는데, Windward Studios 와 Engine의 도입과 시험 공정 DB의 결합을 통하여 자동으로 산출 할 수 있게 되었습니다. "Дуже гарна тулза для роботи з репортами"
Мені й моєї команді дуже подобається той факт, шо ми можемо співпрацювати як водночас по одному так і в команді між усіма колегами з цим тулом і строїти репорти різної складності. Це дуже приємно і доволі таки рідке явище коли ти хочеш працювати з продуктами Майкрософт. Нам бувало не достатньо документації. Але у них є підтримка українською мовою, і завдяки цьому ми ніколи не відчували потреби перейти на інший продукт. Це дуже приємно. Підтримка може тримати коло 4 годин. Читайте документацію та дивіться подкасти, бо в них ви зможете знайти дуже багато корисних матеріалів та гайдів що до коректного використання системи. Це дуже приємно і корисно на всіх етапах користування додатком. Якщо у вас є проблеми чи питання по співпраці - то одразу пишіть у підтримку, вони дуже гарно відповідають і можуть допомогти. Перш за все, моя команда складається с 10ти бухгалтерів. Ми обслуговуємо ФОП-ів. Для кожного із цих ФОП-ів є різні правила ведення звітів. Тому, коли мі користуємося WinWard - ми можемо налагодити всі шаблони лише один раз. і це допомагає нам в подальшому веденню звітів. Раніше, на це ми використовували дуже багато зусиль. і це не було для нас гарною новиною, скажем так. "Automatico informes hechos a mano usando Windward"
En el negocio del cuidado de la salud tenemos tantos informes diarios que completar. Toman tiempo y todos los empleados deben recibir capacitación sobre cómo completarlos correctamente. Ahora ahorramos cientos de horas automatizando lo que solían ser informes hechos a mano. Con una cinta integrada de Oficina fácil de usar, puede tomar sus documentos de Word, conectarlos a sus datos, luego recorrerlos y reemplazar los campos estáticos con etiquetas para sus datos. Estas plantillas de Oficina son fáciles de modificar y mantener también. Es fácil abrir un archivo de Word y hacer cambios. Casi cualquier persona en nuestra oficina puede hacerlo. Nada hasta ahora. Todo ha sido más fácil de lo esperado, estamos haciendo más en la mitad del tiempo. Mira las plantillas de ejemplo que se instalan con su diseñador. Es fácil ver qué hacer una vez que haya visto un ejemplo de trabajo. Entonces puedes construir algo similar con tus datos y cartas o informes. Los informes hechos a mano suelen tener muchos errores. La gente se cansa de llenar los mismos informes todos los días y, a menudo, se cometen errores, lo que significa simplemente volver a crearlos. Esto es un gran ahorro, no solo en un menor costo sino también en un cambio más rápido. Podemos crear un nuevo formulario, rellenarlo con los datos del paciente y enviarlo más rápido que nunca. Windward ahorra tiempo y eso nos ahorra dinero. Ahora ya no tenemos que hacerlo manualmente. Windward just made creating documents a cinch for us whether it is contract generation or document sharing....we have wasted thousands of hours every year just creating documents and making changes to them manually....and now all that's gone....Our company is happy with the Docgen software offered by Windward..no more time squandering...thank you guys at the Windward! We no longer rely on our IT department to get the job done. The best part about Windward is it quickly integrated into our MS Word and Excel platforms. So we literally skipped the learning curve to learn the software and straightaway went ahead with creating document templates in minutes. And, I want to thank the whole team at Windward (especially Shirley and Jim) for making our transition process smooth and seamless as we had to shift from an outdated document creation system to Windward. I must thank the sales team for showing me a good demo and giving us a free trial so we can test the product and see for ourselves if it is able to handle the big tasks we throw at it. To our surprise, Windward didn’t disappoint us even a bit. In our firm, time matters a lot as we are always hiring as well as contracting people for different firms, so we need documents that stand out and look customized to our wide customer base. And, few days into using Windward, I must say we are amazed by the extensive range of designs and document templates available in just a few clicks. My staff loves the fact that it can draw data from a lot of sources and I must say some of them have literally no coding skills, but they find the Docgen software by Windward a walk in the park. And, yes I’m glad we saved at least 40-50% in comparison to our old methods when it comes to template designs and document production costs. We adore the self-serve feature of the software and we don’t rely on IT developers anymore for document creation. That’s a lot of time and money we saved in the last few months. I missed mentioning collaboration between our staff is like never before as we are able to share documents on the go in a lot of formats. We are not worried about the high-volume document output requirements anymore, as we have Windward integrated across all platforms in our company. Finally, the budget aspect I must mention Windward offers far better features at a fraction of the cost unlike other software that we have tried out in the past. Although, we are always looking to cut costs as we are just a startup company and we hope Windward offers more flexible prices than they have currently on their platform. In a nutshell, we are happy with Windward at the helm of document creation and we are glad we made the right choice after a lot of discussions and overcoming the initial hesitation to shift to new software. I hope to see more advanced features in the future upgrades from the company. There's nothing wrong that comes to my mind right now about Windward....it's just few months we are into this, we need more time before we can pinpoint issues with the software (if any in the future). Well, all I can say is Windward makes document creation in MS Suite an easy pie. Saves time and resources for us on a colossal scale...as we had issues with document creation (especially when it comes to automation)....we no longer have to do it manually. thank you for a very in depth review - this is super helpful. Мне очень нравится руководство и структура компании. Они всегда прислушаываются к нашему мнению и мы можем найти общий язык в любом вопросе. Еще из приятного - это то, что когда наша компания делает какой-нибудь запрос на обработку отчетов, то нам не приходится ждать долго. Обычно новая фича будет сделана уже в течении месяца. Это реально удобно, т.к. в других продуках, который мы использовали до ВинВард - нам приходилось ждать иногда больше года. БОЛЬШЕ ГОДА! Достаточно приятно, что они поддерживают Office 365 и все обновления и последние версии офисов. Мы, получается, убиваем двух зайцев, когда покупаем подпискуна офис и винвард. Как бы не очень много у них документациии сопроводительной. Всё хорошо, но с документацией иногда бывает беда: её не хватает частенько. Но из приятного здесь, это то, что всегда можно позвонить - и они ответят вежливо и учтиво на любой вопрос. Правда не постоянно, а в рабочие часы, но всё же. Ждать больше чем сутки не приходится. Пишите в поддержку - там не боты, а живые люди. Если у вас есть проблемы с генерацией отчетов - то вам сюда :) ребята знают, что делают, и делают это уже достаточно давно. Нам даже удалось пообщаться с их директором лично. Это было приятно, что они не игнорируют нас, а готовы нам помочь. При помощи их продукта мы создаем отчеты, которые кастомно сделаны для нас и только для нас. Этому нет цены! Отчеты мы можем настраивать под себя асолютно как угодно. Количество свободы, который даёт нам WinWard в этом отношении - это наверное основная причина почему я и мой отдел экономистов начали их использовать. При помощи их мы можем не только перегонять отчеты из word в excel, но и делать разные призетнации для разных клиентов под их нужды. "Windward Document Generation integratie met low-code platform BeInformed werkt goed"
Voordat wij Windward gebruikte, was het ontwerpen van PDF documenten in binnen de standaard functionaliteit van het BeInformed platform een erg technische aangelegenheid. PDF documenten zijn vaak het eindproduct van de processen die wij als IT implementatie consultant automatiseren voor overheden in de Caribbean. Waar BeInformed goed is in het automatiseren van business-procesessn, is Windward goed in het designenen en genereren van PDF documenten of rapporten. Door deze verantwoordelijkheden los te trekken en als een service in te richten zijn onze documenten niet alleen mooier geworden, maar ook sneller ontwikkeld en met minder fouten. Tijdens de integratie van Windward in het BeInformed product en ook wanneer wij issues ondervinden of nieuwe functionaliteiten willen toevoegen aan onze documenten waar wij in eerste instantie niet uitkomen, krijgen wij uitstekende support van het Windward team. Wij werken in de Caribbean als consultant voor kleine overheden. De licentiekosten voor kleine overheden kunnen soms te hoog zijn. Voor de implementatie, kijk goed hoe je de Windward Engines in je architectuur inricht en bedenk dan of deze implementatie schaalbaar is met de licenties die nodig zullen zijn. - Windward is gespecialiseerd in het ontwerpen en genereren van documenten. Daardoor kunnen we nu kwalitatief hogere documenten maken met meer functionaliteiten dan voorheen. "Satisfied customer for over 13 years"
There was no solution back in 2005 that provided the ease of server-side reporting based on Microsoft Office documents with the ease of using the Office documents to build the templates for those reports that Windward provides and that remains true today in 2019. The AutoTag tool used to mark up templates is straight forward and inuitive program. Windward is regularly improving and adding functionality to the engine. We have had our issues with licensing restrictions and maintenance fees but Windward has not ceased in providing a key functionality with the necessary ease of template development. Less their problem than ours but once it is setup and integrated with your application there is little need for support which is a good thing, but makes it harder to justify the annual maintenance fees; the regular development and version upgrade schedule helps make up for it though so long as you have time to implement the upgrades into your application. Be sure to understand and work out licensing and maintenance fees/agreements when signing up to be sure your future requirements are supported without additional fees or upgrades. Server-side reports based on real-world documents in Word, Excel, and PowerPoint formats. The ability to use the Office documents themselves to build templates is key capability. The benfit of not needing a highly technical team member do the template creation but rather be able to train and task an administrative staff member is a big financial benefit. As to the pricing, you're right that support isn't needed much as it's so easy to use. But it also includes all updates and that is very useful. To this point, we've now switched from perpetual to subscription pricing. So for new customers, and you can switch if you wish, you can pay for use instead of annual support. Again, thank you for the nice review. In the version of AutoTag I use, I especially like how the tags are automatically color-coded. It really helps with visualization of where all the tags are and how they would be used where they are placed. Not only is Windward AutoTag a user-friendly tool, Windward Support is quick to resolve any questions or complex logic issues I might have. We are solving the ability to take data out of our system and merge into a MS Word or Excel file within a specific structure. This reduces a lot of time in having to manually build forms, letters, etc. And I'm thrilled that you like the color coding - I came up with that idea and added it in one day. It's nice to hear it's helpful. Windward team has create a great software. We use Windward as an engine to our custom developed solution for financial Institutions to generate daily financial reports. The ease of use of Windward software gave greater flexibility to our clients to have further control in designing reports and using the features of MS Office. The support of Windward team is fast and very helpful when needed. Windward allow our clients to design reports at will using MS office. Windward save time in designing reports and offer a greater flexibility and creativity in designing reports. Our clients are financial institutions, the Windward solution generates financial reports on daily basis, ranging from advices, reports and account statements. Windward is very stable and reliable and it supports many languages especially Arabic. 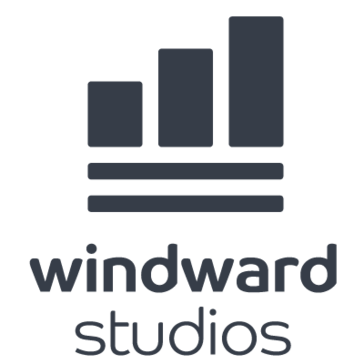 "Using Windward Studios for report generation"
The product is well documented and support is very good with quick turnaround. There is a learning curve with mastering how the “tags” should be laid out and how they interact with the different Data Sources. It also takes a bit of time to properly organize the document templates. Take advantage of the free trial and all of the support resources online. We are able to create well designed custom reports for a variety of data views and output formats. We have been able to better organize our input data to serve our customers report needs. "Best Document Generation in the market"
The fact that design is in word, excel and powerpoint allows me to use any of my resources to design the document template directly from the users documents. Adding tags to pull data from any data source is also very easy to learn. There is nothing i dislike. The software is an addon to office applications and makes it easy to start generating documents. The documentation / help could be further improved. when evaluating docgen software make sure that designing is flexible and you are not restricted to headers/footers. Also, make sure that software supports conditional formatting/displaying of content. Autotag and windward engine is on top of office applications and its engine is quite fast. We use it for the document generation of legal documents and application documents in customer on boarding and loan documents. Constantinos - Your feedback about the documentation is fair. We knew that and we have just released an entirely new documentation portal, with all content revised and updated. And we added training classes, something we have not had in the past. Incredible flexibility to pull data from so many different data sources into a variety of output including MS Office documents. Variables allow user input at run-time to include data or other information that is not from the database. Powerful selection and logic means that we almost never say "I can't do that" when a customer is specifying requirements for their export templates. Windward integrates with MS Office document styles, numbering, tables and other formatting, often automatically taking on the right formatting without any coding in the template. Being able to develop against a local datasource using AutoTag reduces the time for changes and new templates, while actual reports and export documents are created from the live product leveraging the Windward Engine. MS Office templates can be fragile. Replicating tags by copy/paste can cause them to break. Templates can also sensitive to errors in document files that are otherwise invisible in Office apps. Reporting engine can have widely varying resource requirements, occasionally causing report jobs to fail. If you need to build powerful reporting capabilities, including MS Office document export, Windward is a great choice! The Windward Engine is built into our requirements management product, Blueprint, allowing customers and consultants like myself to build templates that export requirements documents in exactly the same format as those authored directly in MS Word or Excel. Exporting to MS Office documents is an incredible feature for our product and our customers as we enable digital transformation from document-based to fully online processes. Most comprehensive document automation tool available on the market - Allowed us to fit a non-standard use case. The service has been second to none, even throughout the trial period. Limited to only Microsoft office products, which creates significant design limitations. Learning curve associated with implementation. Working through kinks with PowerPoint as this is the newest product offering. Implemented Windward to help manage hundreds of marketing documents. This was the only tool available that could meet our needs. The support team has been extremely helpful, providing calls and training that resolved any errors we received. Overall, Windward allows us to save 500+ hours annually. "Easy Integration - Good for business"
Document generation is fast and accurate. By accurate I mean that what you see when you design the document in Word/ Powerpoint etc, it's exactly what you get. This ensures that there is less time spent ensuring that the output (visually) is what you wanted. Very easy integration – In a few lines of code, you can be up and running. Being able to use Microsoft Office as a template editor has been a key feature. In some of the other systems we have used, and certainly the more complex ones, creation of the document template needed to be done by a developer. What set Windward apart was that the templates could be designed by business analysts or marketing people who had little or no coding experience. This meant that we did not have to use expensive developers on template creation, or worse template changes– Better yet, I would get the client to manage their own templates. This is a massive cost saving. Using Microsoft office as the template editor allows Word, PowerPoint and Excel to be utilised, allowing for complex templates. Winward has made it very easy to link to data sources making the development and testing of reports easy. There is not much we did not like - if anything. Its been great to work with and better than other products we have tried. Windward Studio, as a company, is easy and it is a pleasure to work with and have as partners in our projects. All this adds up to huge cost savings and happy clients, which is key to our business success. The flexibility and functionality of AutoTag is great. Allowing to create report templates to pull data out from different database sources in sufficient way. After template is created once, It allow to output data in correct format every single time. Biggest issue I come across with AutoTag is outputting in PDF format. It's not always possible to get document outputted in PDF the same way as is visible in MS Word. Also some of chart functionality is not working correctly e.g. (changing colors of chart bars, changing color of text inside a chart). I would recommend Windward AutoTag to any user that is working on reporting out from Database sources, as this tool is embedded with MS Office package in great way which allow to create nice looking reports/dashboards. We currently using AutoTag to create wide range of KPI and other kind of reports for internal use as well as external clients. It allowing us to generate reports on the fly and saving massive amount of time creating reports manually every single time. It is great piece of software especial when integrating it with MySQL/MS SQL database. Rafal - thank you for a very nice review. Your comment about the chart formatting is fair. Please take a look at version 16.2, we have addressed that issue fully there bringing across all chart formatting to the output. Also, we added an option in version 15.2 to use Office to generate the PDF output giving you pixel perfect PDF output. I think that will resolve your PDF exact match issues. Again, thank you for a very nice review. Windward's Server and Report Designer applications are a core key component of our software solutions to our clients. In my dealings with Windward I have always found them extremely responsive and willing to help us effect the most cost-efficient solution for our clients' needs. I honestly don't have any complants or dislikes of Windward's services. Windward Studios are an excellent company to deal with, quick to respond to inquires and willing to assist with the best cost to value for implementation across multiple clients. Report Designer allows our users and clients to quickly and easily manage their document production requirements in our CALMS application solution. We use Windward auto tag for document development for insurance industry. The plugin and the server software have been extremely stable for us. Our customers rely on timely generation of the documents and delivery and we require the stability of the software. I give 5 stars to windward for this. None that I can think of. Windward is a small company but they have been excellent at customer support. We use windward software for document generation. We service insurance customers through a hosted solution in AWS. Whenever an insurance policy is created in our system we need to generated many documents. Using windward document generation we were able to solve this problem by using autotag to create templates and generate them at runtime. We have generated millions of documents for our customers using this solution. "Simple Effective Tool with a Highly Adanced Development Engine!" The simple template designer has proved very useful in building elegant and crisp looking reports, either in a PDF, Powerpoint Presentation or even a well formatted Excel spreadsheet. Also, due to this simplicity, the learning curve required to train new members to build templates is a lot less steep than the learning curve to train users in SQL Statements. Our users are much quicker at grasping the knowledge using AutoTag and then learning SQL at a later stage once they are comfortable with the data structure. Being on the development side, there are some limitations to what you can do with the template designer (I.e., LEFT JOIN) is not available as one of the ways to join tables in the wizard. However, there are ways to input any SQL Statement, you just lose the use of the wizard. If you're looking for crisp, clean reports that utilise the widely used Microsoft Office Suite then there is no better product on the market. The Engine is also extremely flexible to whatever code base you're using. Many of the regularly requested internal reports are now built into elegantly designed reports which users are able to run themselves. This is saving time firstly for the user as they can get the report on demand, but also from our reporting and development team so that we can build more reports, explore extra functionality and dedicate more team to new developments. First off, thank you for a wonderful review. Second, yes there are limitations in what the SQL select wizard can do. It's always a trade-off between keeping the wizard simple and providing the ability to write complex selects. I've passed your specific request for support of a LEFT JOIN in the wizard on to product management. "Fantastic Product for Document Generation"
Ease of use all the way around. Anyone can build a template as long as they know how to use word. Multiple data sources (XML, JSON, SQL and more) allows for easy implementation. Inconsistency when outputting from Word to PDF. When inputting a data structure (XML) it reads only the first node for the schema. If the second node has additional attributes, those won't be included. A generic XML file must be given to the person creating the templates. When you first start using this tool, don't over think it. This is so easy, you try to make it harder than it really is. Using XML and JSON data sources are harder than SQL tables. Make sure you know what kind of data source you have when you select a template administrator. Instead of having a group of employees generating documents for the company and customers, each person can create his/her own documents on demand. Individual teams can create the templates that meet their requirements. I like how easy it is to import tags from different connected data sources and the ease of use in using the XPath Wizard to filter and select the appropriate content from the data sources. Formatting and the output results to word and PDF are somewhat inconsistent. With a little work, it is possible to get them looking similar, but not exactly the same. The only other nuance is with working with XML files as the data source, if the xml file is changed as a datasource, the output still works, but within the template errors are displayed if it can't find specific variables for the looping criterial. Client business problems, of easily and quickly distributing letters to their patients. Can quickly output a template from different data sources. One main benefit is the turn around time to produce the output documents, compared to before when client was manually creating letters for their patients. Windward is very flexible, it works with multiple platforms, multiples databases. The language used for programming is very intuitive. After attending one online training of windward, I was already able to create my own reports. "Autotag great piece of reporting software, which integrates nicely with Microsoft Office"
The way it just works, once a template is set-up. Once I've got to a place where I am happy with the output; Autotag will consistently output what is required every single time! My biggest challenge with Autotag is in ensuring the output appears correctly in relation to the template. It takes a fair bit of work to fully realise the nuances that you have to work with/around in an Autotag template to produce a viable output. Autotag uses many features which are a part of Microsoft Office. If you are familiar and confident with Office and want to use a Reporting tool then Autotag is definitely a good candidate. It is best when used with another database, so if you have some sort of SQL/MySQL Server or use Accces then it should work very well. We use Autotag to provide snapshot reports which are used internally for KPI's and also externally for our clients. This is something that we previously manually generated so saves a ridiculous amount of man hours in producing these reports + it allows them to be generated on the fly. Also with the ease of report creation, this allows us to create more and more varied reports to help out different areas of the company. "Windward delivered our document automation needs"
Windward was able to solve our issues regarding complex templated document creation. AutoTag enabled us to quickly translate sample documents from our clients into templates that allowed to generate massive amounts of documents, both at scheduled times and on demand. AutoTag's integration with the familiar Office interface is a huge win, and we were able to even turn our customers onto the solution and have them being to develop their own templates. In the end, we were even able to function as a reseller, and get the clients to generate their own templates that we could quickly expose via our software for their needs. Our customers needed specifically formatted documents for large amounts of data, and needed to be able to generate updated versions of those documents quickly. We were also able to develop a document generation system that allowed users to request batches of documents and complete them asynchronously, as well as allow for on demand generation of needed documents. Windward's solution and ease of designing templates made this kind of reporting generation a negligible effort instead of one that we would constantly need to revisit. "Dynamic Letter/document generator for existing database structures"
I like how flexible it is at creating what I want. Quick response from Support and the software continues to improve at a steady pace. Nearly all formatting is based off of regular old Word and Excel. Everyone knows at least a little about the Microsoft Office software. It's an easy entry into the world of AutoTag. There were certainly some pains in the beginning like with any new tool or software. So far, I have been able to find a way with nearly all "what if" situations our clients bring to me. The only thing I would say could use some tweaking is the validating tool. It's really good at finding and jumping to typical problems to quickly fix the issue. When you move to the much more complex scenarios, the tool still provides useful information but doesn't necessary jump to exactly where you need it to go. It gets you close but not quite there. I've used AutoTag for over 2 years now. Prior to using this software, we had a mixed bag of embedded crystal reports to some other document generating tools not suited to be customized by our clients. This tool answers one of our biggest resource challenges. Instead of having to hire a bunch more people, we could implement this tool to empower our own clients. Now when changes need to be made, our clients have the power to tweak what they already have, or start from scratch and build their own documents. Adam - thank you for an incredibly nice review. You are right that the validation toll cannot jump to the exact location of an error it finds in complex documents. Unfortunately this is due to limitations in the Word COM API. Until Microsoft addresses this, we're all stuck with this limitation. Running on top of Word is both wonderful (great template designer) and limiting (if Word doesn't do something - we're stuck). Again, thank you for a wonderful review. I have just started using Windward, but coming from many years of experience with other report tools, I am already smitten with it. The ease of design for at least the fairly basic templates I'm starting to build is, for the most part, remarkable. The output in legitimate DOCX format that can be easily manipulated by end users is head and shoulders above any of the other tools we currently use to create Word documents, which end up as complex tables from edge to edge and top to bottom with very little meaningful ability to be tweaked, let alone heavily edited, rearranged and reused in other documents. I've also received very prompt, professional and competent responses from Windward's support team. From webinars to email support to phone calls, they've been extremely accommodating and helpful -- not to mention just plain friendly. It's hard to complain about a tool I've only recently started using, and I'll update this review when I've got more experience with it, but two areas I find lacking are documentation (which I've been assured has just started a complete overhaul) and functionality for some of the tags. For example, I've been struggling to use the IF tag to do something that's dead simple in other tools: hide text and/or other elements when a data field is empty/null. Support is working on it and I'm sure I'll get an answer, but this should be more straightforward than it is. Many other tools will also do a great job of creating PDF output, if that's all your needs require, but I have yet to see a report tool that comes close to providing the native DOCX (Word) output that we get from Windward AutoTag. If truly editable/reuseable Word (or Excel or PowerPoint, presumably, though I have no direct experience with those ... yet) output is something your users need, this is definitely worth looking into. The primary reason we looked at Windward was inadequate Word output from other report tools. With other tools, there's little room (as mentioned previously) for users to manipulate or reuse the output because it's laid out in rigid tables within tables within tables (and perhaps necessarily so, given the nature of those other tools).. Unfortunately, almost the ONLY reason our customers want Word output is specifically so they CAN make these kinds of changes and/or copy content from the generated output into other documents. Without the ability to use the Word output like a real Word document, users are frankly much better off sticking with PDFs. By comparison, Windward AutoTag outputs a native, "real" Word document that users can easily interact with, with real headers and footers, real page margins not built from wall-to-wall tables, etc. If the user adds a paragraph of text to page 2, it doesn't blow up the following 30 pages but instead everything flows naturally as you'd expect. Another benefit we're hoping to gain from using AutoTag as one of our report tools is to allow our customers to more easily create and maintain their own templates without needing a week of training using proprietary software but instead using an add-on for a tool (MS Word) they've been using most of their careers. While we're happy to do whatever report design and maintenance our customers ask for, we also like to be able to get them started and empower them to make changes and additions without relying on us if that's what they prefer. It looks like Windward AutoTag is going to be a huge improvement in that respect. Brent - thank you for a wonderful review. On the if tag issue, please let support know if this is still an issue - this should be trivial to do. On the scripting issue, have you looked at custom macros? You can write any macro, to do anything, and then call that macro in the select/query for any tag. This should give you any custom scripting you need, and then some. "The best tool for generating client-facing documents"
The ability to format documents in a tool as familiar as Word is enormously valuable. It empowers non-technical users to take part in the design process without having to learn the technical components. Conditionals in general and especially in tables can be a little clunky. If you have a need to generate client-facing documents at scale, this is the right tool for it. The ability to design in Word makes the design stage trivial, and the ease of use of the engine makes plugging it in to your solutions simple. Windward Studios has solved the problems of trying to generate well-formatted and -designed documents at scale. Logan - thank you for your wonderful review. On your issue about "clunky" conditionals in tags - in version 16.1 we addressed this. There is now a conditional wizard, something in hindsight I wish we had added back in version 8. "Very Approachable Software With Helpful Team Behind It"
I found it extremely easy to integrate my database into the program. Other reporting software seems far too strict/complicated when it comes to pulling in and manipulating data form a MySQL database while Windward was very easy and straight forward. Being that life happens and when you think you have time you can sometimes end up not having time, I would prefer to have a longer evaluation period. However, their support is willing to work with you on this making it not much of an issue. We are attempting to find a third party reporting solution that we can offer to our customers that would like us to build them specific reports. "Windward AutoTag review from a Software Developer standpoint"
I like the user friendly GUI (graphical user interface) that they have. If there is something that I don't understand they have a very helpful online repository where I can look it up. They email support is excellent. The response time is usually within an hour or two. I have talked to a couple different people and all of them have been very helpful. There really isn't much that I can think of when it comes to disliking it. The only thing that comes to wind is not being able to edit the excel document while you have the tag editor open. Highly recommend this product to anyone looking to add additional functionality to their existing data sources like XML, SQL and any other ones out there. I have only been working with Auto Tag for about a month so I have not been able to solve any problems yet but I'm working on a report for subscribers within insurance groups. Christopher - thank you for a terrific review. On your desire to edit the Excel document while the tag editor is open, that would be asking for trouble. Because you could edit the cell that the tag you have open is to be written to, and then when we write it, if the location in the cell was shifted, we have no way to know that happened. This is not a limitation of the Excel API, it's more of a fundamental logical limitation that we can't edit content in both the tag editor and directly in the spreadsheet and keep them in sync. I understand the desire to do so, but it's not doable. Again, thank you for the very nice words. AutoTag is build within the Office suite and is therefore able to leverage all the familiar features. This is very useful when you need to make reports useful and appealing. It is hard to pick out the tags if they are mixed in with a block of text. AutoTag supports connection to more than just databases; Access, Cassandra, IBM DB2, JSON, MongoDB, OData, OLEDB, PostGreSQL, REST, SharePoint List, XML File, Amazon Redshift, Excel Spreadsheet, JSON , Microsoft SQL Server, MySQL, ODBC, Oracle, RDL, Salesforce, and SQL Schema. The wizard will walk you through every step and tons of help is provided every step of the way. There is even the ability to create your own custom connector. Before AutoTag creating the reports involved a lot of manual data collection and editing. This was time intensive, error prone, and frustrating process. WindWard's AutoTag report creation made it easy to recreate the reports into templates. Whenever we got stuck there was a Wiki based user guide and top notch tech support. The reports now take a fraction of the time to create and are finally consistent in layout and content. Anthony - thank you for such a nice post. On the issue of picking out the tags, in version 15.1 we added color coding to the tags to help make them stand out. This does make it easier to pick them out. Please try that and see if that is sufficient for your needs. And if there's a better way for us to make the tags more obvious, please go to http://ideas.windward.net and post a suggestion - we can always make this better. Again, thank you for a great review. "A powerful, flexible and easy way to generate reports"
The Windward engine is fairly easy to integrate into your application, and the simple way of formatting reports using office applications can only be described as genius. The only thing I don't like is the price, but it isn't really too high. And you definately get an awful lot of quality for your money so it is worth it. Oh, and I dislike that my auto-correct converts Windward to Winward for some reason. Our main system is a cloud based forms processing engine, which originally used a home-grown engine to provide reports in CSV and PDF format to customers. Now it runs on Windward and, when coupled with a specialised synchronised reporting database, it runs a lot faster, consuming a lot less resource. Before Windward, customer reports had the chance to bring everything to a standstill for a few minutes, now they run without impacting the main systems at all. Also, the power of the Autotag template generation system allows us to roll out new reports in less than an hour, as opposed to the day (or days) it could take before. Auto-tag is absolutely one of the best feature in this product. It's easy to use and can be taught to a person with no programming experience. The PDF output can be improved when using Windward on MS Word documents. We have simplified our mail package generation process into one application. This saved lot of time because it's faster compared to macro, mistakes during document collation, etc. "Brilliant Tool - Easy, Simple & Fast!" I have just started to use this tool as i am sure many of the other users have! The simplicity of this tool crossed with its powerful tool set make for a brilliant product, One that i find to be very hard to beat! We as a company use a lot of reports and going from an in house product to this is amazing in difference. Reports are generated a lot quicker and smoother. I would recommend this solution to anyone wanting a quick, reliable and simplistic reporting tool. Our company have not have many problems with this product, however any problems we have had have been swiftly sorted and have not required constant pestering! When compared to our old in house tool there are literally no complaints, i cannot think of any points that i dislike with this product. I am due for my first webinar on 17th Feb and hopefully this field will remain with no dislikes :)! By switching to windward, we have finally been able to unleash the full potential of our product, we have noticed that since switching to windward, we are relieving pressure from the in-house reporting engine and providing an overhaul to the current users experiences by using Windward Studios. Since the switch i have heard all good news from our clients who utilize our reports and not yet had a complaint! "Used for template maintenance and document production." We are far quicker to turn document template changes around with Windward, document production is quick and accurate. Not much to dislike, initial template deisgn was slow, but once the data items and pods were created, re-use made subsequent templates quicker. Prior to Windward, we used a proprietary method of document production using various stored database procedures, it was very difficult to make changes and we had to do a full regression test with every change. "Seamless. The integration into well used Microsoft products make this so easy to utilise." How easy it is to use. There isn't a specific requirement for expensive training courses as all the help you need is provided by the team at Windward. Once you become well versed in how to use Autotag, document production and generation becomes so so easy. The charts were problematic at first, but again, using the resources available on the Windward website, I soon came to understand how they work. Some of the charts that became obsolete in new releases of Autotag was something I felt was a shame but not to the point it was detrimental to my user experience. Do it - you wont be sorry. Version control of specific reports was a big issue. Using Windward negated that issue immediately. One report template controlled in house allows for universal changes when required and means everyone is using the same report at the same time. "The search should stop here"
The software's user interface is intuitive and easy to use - I very rarely click on something and get a window/option that I wasn't expecting. The database resources you have to connect and get essentially real-time data is also incredible. Most importantly, the support page on their website is one of the most extensive support catalogs of any software I've ever seen. There's only been one time that I can think of where my question wasn't resolved from their support page, and in that case, their e-mail response was incredibly fast and immediately helpful. Sometimes the executing of queries when you're trying to evaluate them runs slow, but I think that has more to do with my query writing than it does with their software. Not being able to have two query editors open at the same time (or anything else in the excel file) was frustrating to get used to at first, but isn't a deal-breaker by any means. The software is already great, but the support they give puts it over the edge. Your search is over! The ease of use between users and the same template is an incredible benefit. Anyone with the software can open an template and immediately see what data points are pulling into the templates and where they come from. It saves the same as any other word/excel/PDF document would, and if you didn't have the software, you wouldn't even know it was there. "Windward AutoTag and Reporting Engine work as advertised"
Easy data source connection, easy report authoring, super customer service. Authoring options are basically whatever Microsoft Word's formatting offers you, which is a ton. Generating reports from an internal corporate web application & database, drawing data from SQL Server and Microsoft Sharepoint (images and Excel documents). Detailed report authoring can be done by relatively non-technical staff. Reports can be adjusted as required very quickly. "A little difficult, but overall good"
Limited support for JSON endpoints, having to wrestle with the interface when doing subqueries. "Good easy to use product"
It's easy to use and the functions are familiar to other tools like Microsoft word so the usage is familiar. Our use is currently limited to adminstrating templates. With this function, I have no dislikes about windward. Good product that does the job from my business point of view. I believe windward does much more but my business has not needed it yet. I would recommend to trial it and see if it suits your needs first. Windward studios is critical to our business and enables us to administer templates which are called upon by other systems. "Report template in MS office"
"Versatile application for document generation "
The ability to apply data directly on a template. The limitations for retention of formatting within the import function. Also the lack of support for footers in templates. We were able to modify the outdated way our company generated documents for our customers. And realized that there were ways to work smarter not harder. Could whoever wrote this please email me - david@windward.net? I want to understand your comments on the problems as we do retain all formatting in an import and we do support footers in templates. If you hit a bug, I want to get it fixed. If not, I want to learn what issues you hit using this functionality. "Easy to use and very flexible"
Windward is the perfect software for non IT people. With minimal training and a little effort, professional looking detailed reports become a breeze. The interface could be a "little" more user friendly but it is by no means difficult to use. It just has some quirks that could be made a little better. Before, my department was handling over 10,000 pages of report documents manually...! Now with Windward, we just manage our data and let the software do the rest! It's easy to use once you have the basics figured out in terms of tags and what the tricks and tips are. The support staff is also really helpful and have plenty of documentation to help get you started. Sometimes the formatting required can be really tricky and the error messaged can be vague, which makes trouble shooting difficult. If you are going to be directly creating the templates it is really beneficially to have SQL knowledge. Once you have that figuring out the tags is easy! We are able to quickly create custom template for our clients that are easily updated. Benefits include being able to transfer licenses between users and instructing clients who have never used it before. "Free trial so far is surprisingly good!" It's complex but at the same time it's easy to pick-up and get started. Requires some basic knowledge of SQL statements and programming logic but I personally did not have issues with this. Try their free trial. Totally worth it. Auto-generating word documents using information stored in access. It can do more. Just didn't get their yet. "Windward embedded in Energy Billing Systems"
Windward is a reliable platform for delivery letters and reports. Nothing really - it does the job. We haven't had the need to determine what it doesn't do for yus. We needed an embedded document creation solution within our Energy Billing platform that enables us to produce PDF documents. Windward does what we need and it has been in live operation for around 10 years. Currently using old version dictated by client version on report server, and the old versions of Autotag's data connector did not play nice with where Windows installs Office by default, even worse now with the recent company stipulation to upgrade to latest version of MS Office which doesn't even let you customise the installation path. Easy to manage and modify. Connection with different source type is very easy and gives the flexibility to use data from multiple data sources in the same file. * We monitor all Windward Studios reviews to prevent fraudulent reviews and keep review quality high. We do not post reviews by company employees or direct competitors. Validated reviews require the user to submit a screenshot of the product containing their user ID, in order to verify a user is an actual user of the product. Hi there! Are you looking to implement a solution like Windward?